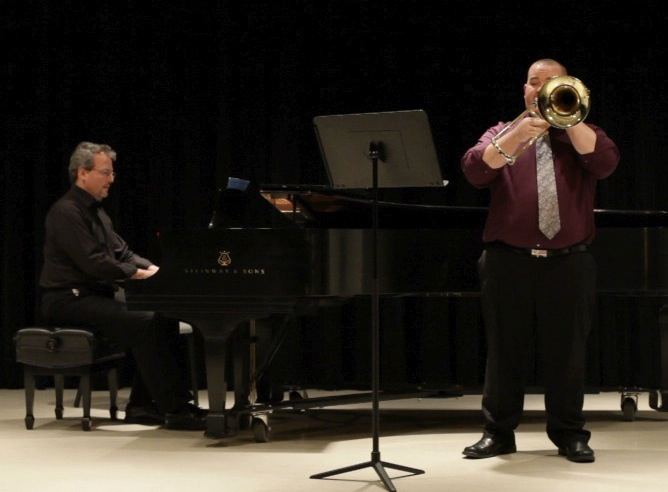 On November 15, 2010 Jonathan Allen performed his final DMA Recital at the UCC Recital Hall. Repertoire for the recital included works by Arcangelo Corelli, Richard Peaslee, Anton Bruckner, Jan Koetsier, and Phil Snedecor. Jonathan was assisted by Michael Schnack on piano and Jessica Ducharme, Rachel Carter, and Shelby Kifer on trombones.